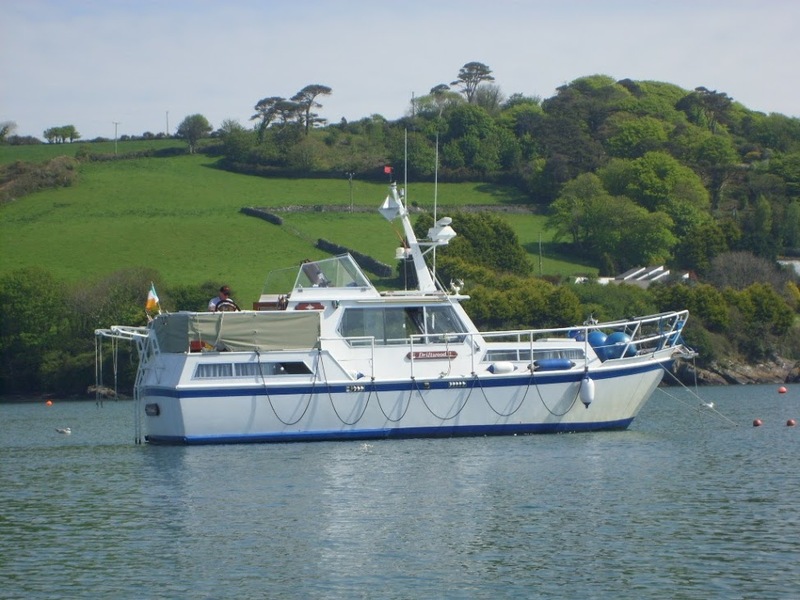 We bought the Drettmann on St Patrick’s day 2007 and such was the boating market that we sold our Seamaster 30 the following week without even advertising it. We renamed Staris “Driftwood” after the house in Raheny where I spent my teenage years. She has twin 6 cylinder Ford engines, at 125 HP each. She is steel and weighs in at 12 tonnes and that’s without even having any wine on board. Drettmann are a boat builder based in Germany and Driftwood was one of the first boats they ever produced in 1981. Now if you google them they build very upmarket ocean going yachts. Being of German origin she is rock solid and very reliable. She has plenty comfortable features on board and it handles really really well. Despite the horse power she is not fast, something to do with the tonnage I suppose. She is comfortable at 5-6 knots but will manage 8 knots if you want to create an enormous wash behind you and burn a load of diesel. Once I keep it at about 6 knots she is surprisingly easy on fuel. People say twin engines are expensive to run but if you really ask yourself how much you spend on diesel in a season it’s probably very little. Multiply it by 2 and it’s still not worth whinging about. At the time of writing we have had Driftwood for nine years. 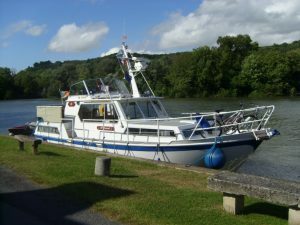 We sailed her to France in 2008 and on to Switzerland in 2009. 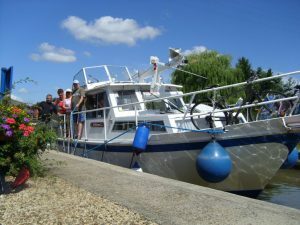 We lived on her for a long time while we had her in France and that was a great adventure. 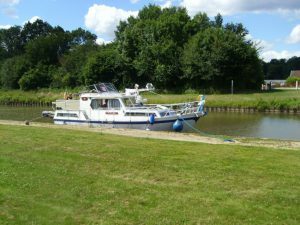 Now she is back home on the Shannon and she still gives us loads of break aways for weekends as well as for our holidays.